A heavy duty, no-rinse, fast-acting floor stripper. Usable with or without a conventional floor machine and pad, depending on the concentration of the product and the condition of the floor. A heavy duty, no-rinse, speed floor stripper. 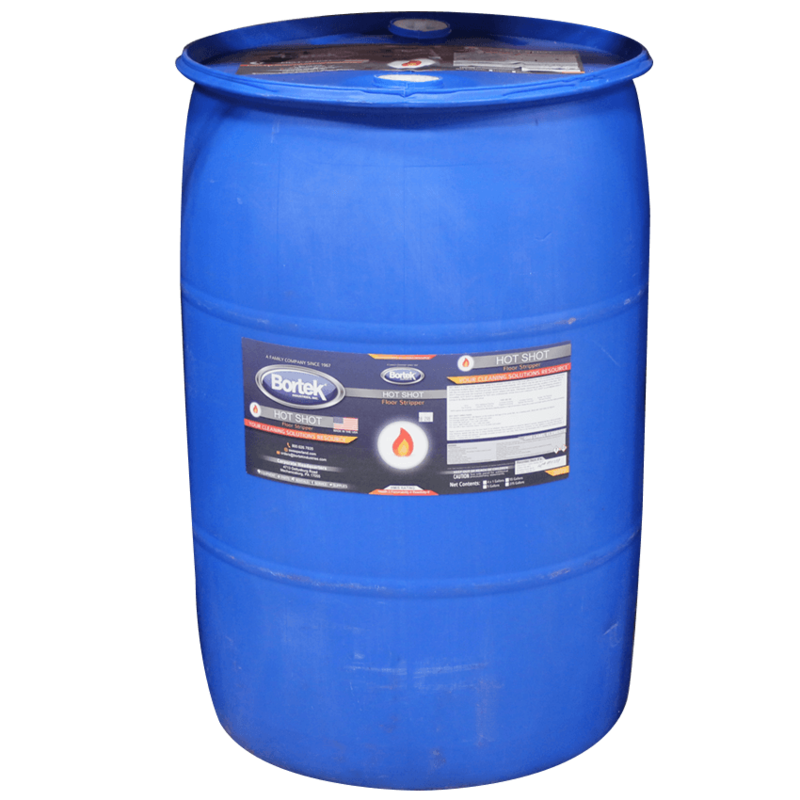 It’s also one of the most effective floor finish emulsifiers ever developed. It dissolves multiple layers of aged and built-up finishes almost instantly. 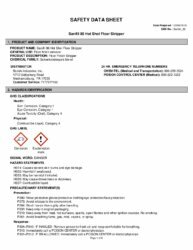 HOT SHOT may be used as a no-scrub floor stripper or with the conventional floor machine and pad, depending on the concentration of the product and the condition of the floor. HOT SHOT dissolves even the toughest of straight acrylic sealers with ease. 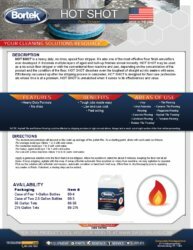 Effortlessly vacuumed up after the stripping process is completed, HOT SHOT is designed for floor care professionals whose time is at a premium. HOT SHOT is unmatched when it comes to its effectiveness and value. *NOTE: Asphalt Tile and Rubber Flooring could be affected by stripping solutions in high concentrations. Always test a small, out-of-sight section of the floor before proceeding. For average build-ups: Dilute 1 to 3 with cold water. For moderate build-ups: 1 to 2 with cold water. For heavy, aged build-ups: 1 to 1 with cold water. For use with a floor machine: Dilute 1 to 8-16 parts cold water. Apply a generous solution onto the floor that’s to be stripped. Allow the solution to stand for about 5 minutes, keeping the floor wet at all times. If mop stripping, agitate with the mop. If using a Bortek automatic floor scrubber or rotary floor machine, no mop agitation is required. 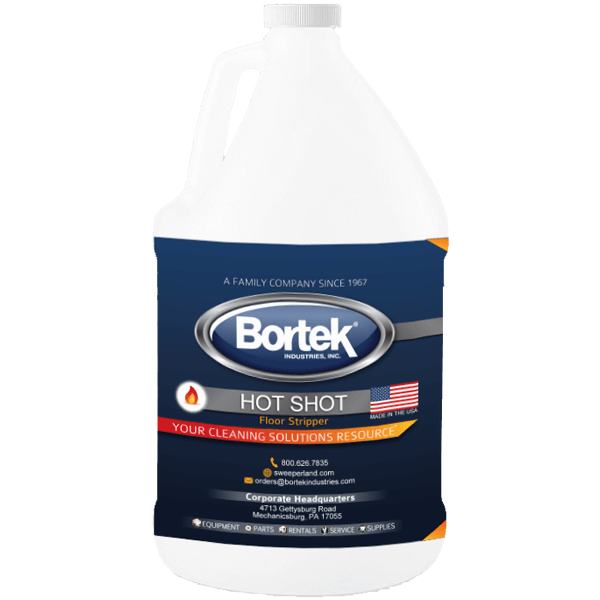 Pick-up the solution with a Bortek wet-vacuum, automatic scrubber or hand tool / wet mop. Allow floor to dry thoroughly prior to applying any sealer or finish. If desired, a rinsing step can be added.